A profile of Chronicfatiguesyndrome.me.uk was found on the social network Facebook. 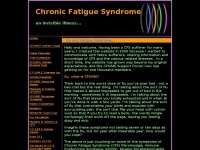 The web server used by Chronicfatiguesyndrome.me.uk is located in Great Britain and run by Simply Transit Ltd. 45 other websites are located on this web server. Most of them are provided in the english language. The websites of Chronicfatiguesyndrome.me.uk are served by a Apache server. The markup language of the website is XHTML 1.0 Transitional. Both the inclusion of the website in search engines and follwoing of its hyperlinks is explicitly allowed. In order to display ads the Google Adsense advertising network is used.